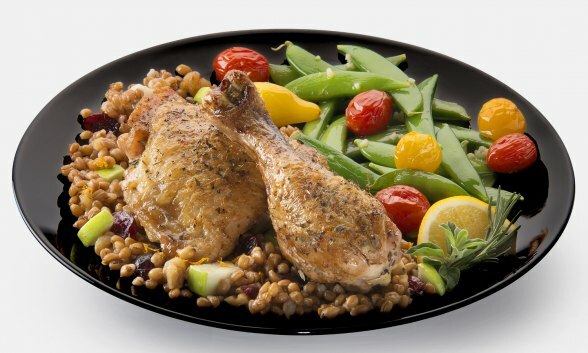 With cooking pot in Presto® Electric Pressure Cooker Plus, add wheat berries and water. Close cover. Place quick pressure release valve on vent pipe. Select MULTIGRAIN and adjust time to 28 minutes. When time is up, allow pressure to drop of its own accord. Cool wheat berries to room temperature. If necessary drain excess liquid. Whisk together orange juice, orange zest, vinegar, oil, cinnamon, and salt in a small bowl. Pour over cooled wheat berries and toss to coat. Allow to set for 15 minutes. Stir in apples, cranberries, and walnuts.